1 - Ask everyone to watch whilst I sit on the potty... I guess its a pride, look-at-what-I-can-do thing? 2 - Strut around naked... honestly? I envy them. At their age, they have no worries about how their body and what they dislike about it. They don't worry about what other people might think and whether they need to cover anything up. I wish they could stay that way forever and never have any of those body image hang ups. 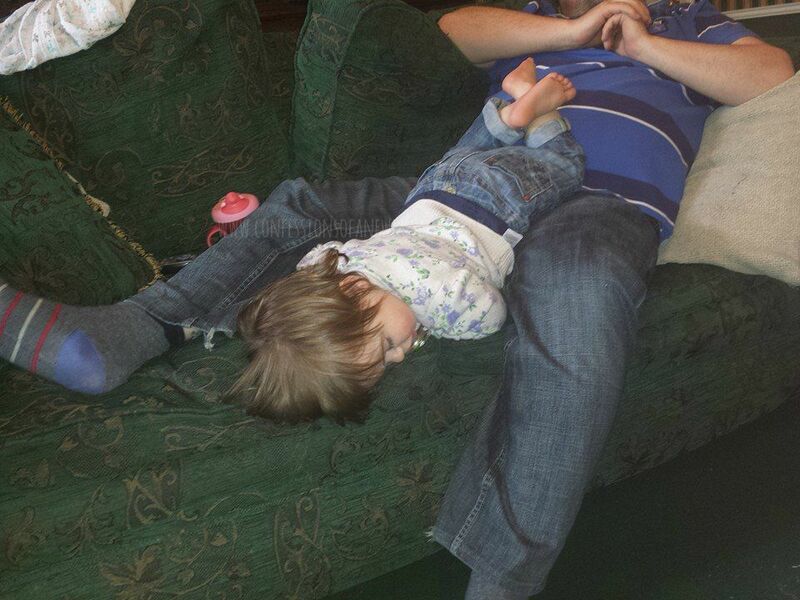 3 - Fall asleep in funny positions and not feel worse for it... See photo below for evidence. I clearly remember this as I was trying to settle T and E was very grouchy, she finally fell asleep like this and had one of the longest naps she's ever had. Once upon a time, E would eat anything and everything - houmous, olives, pepperoni, strong cheeses. Now? Its limited. Ask her what she wants and its usually brioche or crackers and ham. 5 - Wake up and be ready to go.... As soon as T wakes in the morning, we know about it. She climbs into bed with us and whilst E would quite happily snuggle, T is ready to bounce about and chat away. She'll smack my tummy and blow raspberries. There's no quiet wake up when T's about!